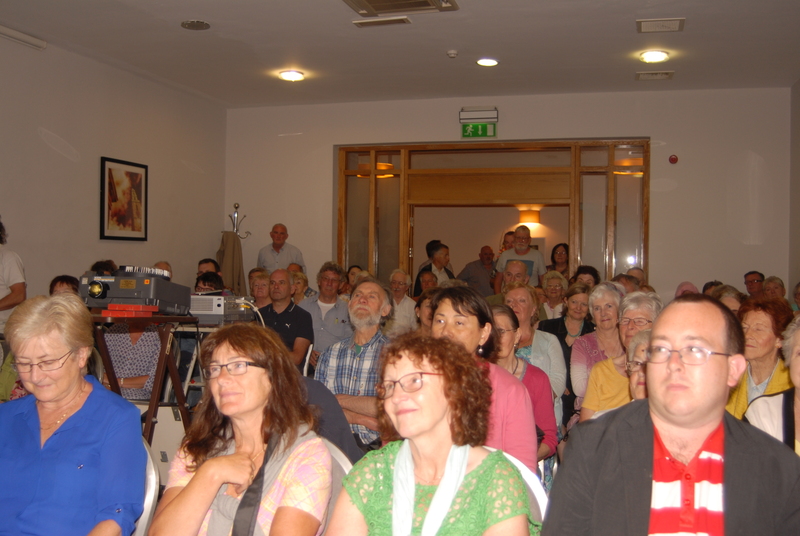 The Maldron Hotel was packed, last seats already taken…..standing room only now……still 20 minutes to go. Mild apprehension among even experienced members of the Mother Jones Committee……….the growing crowd…..aged from 8 to 80….a sense of anticipation…….crackling expectation……electricity in the air. He arrived from the rear of the room, advancing slowly through a flash of cameras and mobile phones, hugs and handshakes and a standing ovation. Reaching the front of the room he raised his arms in the air with a broad smile. The “Master” had appeared….resplendent and immaculate in cream jacket…….he was ready to perform! Introduced by his old friend Richard T Cooke…….he commanded the packed room and hall with professional ease, just as 40 years earlier in his trademark swishing black gown he commanded the packed lecture halls of the West Wing of his beloved University College Cork…….bringing history to life for young students! 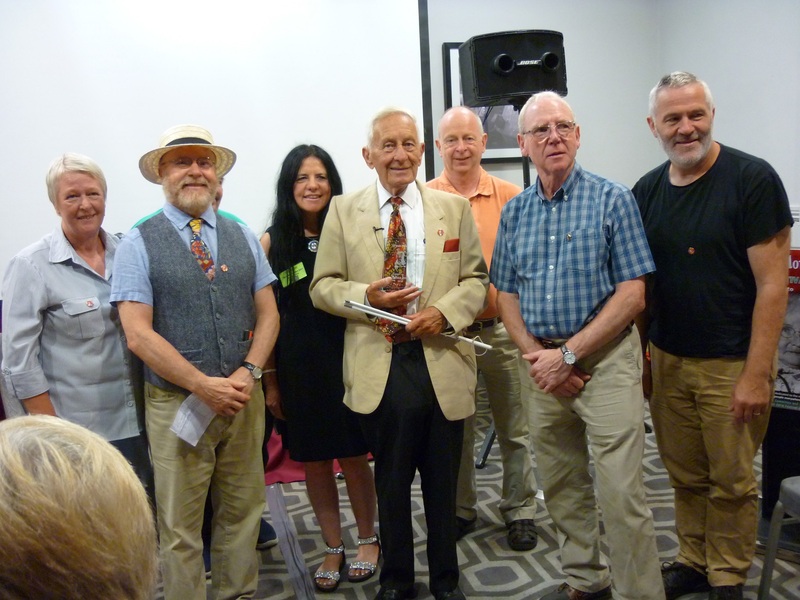 On Friday afternoon 29th July 2016, Dr Sean Pettit was at home on Cork’s Northside in the North Infirmary speaking of Cork in the 1800s and portraying the Cork city experienced by a young Mary Harris. 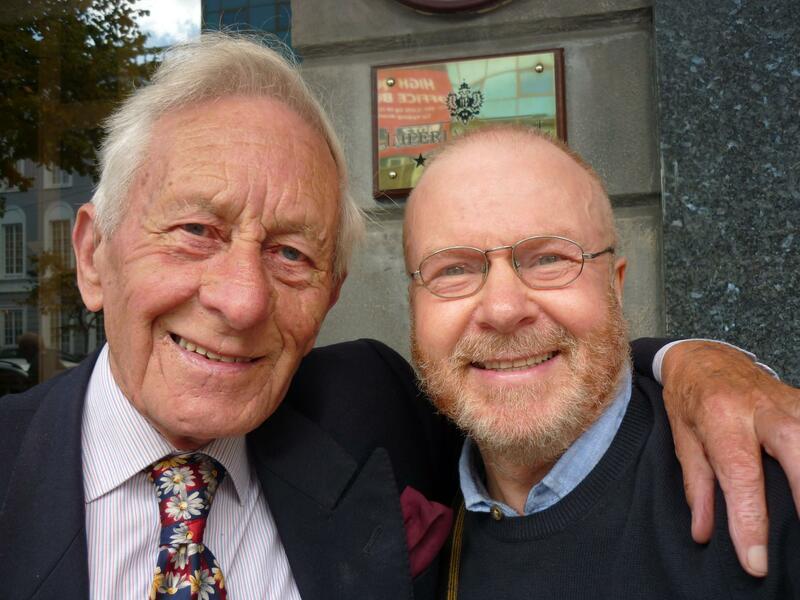 He seamlessly worked through his amazing collection of slides, gently and modestly describing the reality of life for the wealthy and the degrading poverty of the poor on the streets of Cork. From the sedate wonder of the then beautiful Mardyke to the resilient Shawlies of the Quays we moved back in time with a genial Sean to ramble around and imagine the city of our ancestors. Shot of the crowd who packed in for Dr. Sean Pettit’s talk. In his classic book This City of Cork,published in 1977, Dr Pettit wrote in a chapter entitled “The Sick, The Poor and the Beggars” with passion and scarcely disguised anger about the human distress and the plight of subsistence living of ordinary people in Cork in the 1830s. His empathy for the poor always shone through his presentations. He spoke of the mansions on the hill and the carriages of the rich and famous but he never forgot to speak also of the social injustice experienced in the laneways and alleys of Cork. His lecture at the Mother Jones summer school 2016 was a remarkable performance, a public historian graciously speaking of the heritage of the people of Cork, of his love for his native City and generously passing on his knowledge, experience and appreciation to those so lucky to be present on that glorious day and as he had done also for many thousands more over the past 50 years. We instinctively understood then that we were witnessing a rare performance from “The Master” but could not know that Sean was taking his final curtain after his finest hour. Dr Sean Pettit passed away on Wednesday 23rd November 2016. The Cork Mother Jones Committee wish to express our condolences to his beloved wife Aruba to whom he dedicated all his books.